It’s true. I can’t believe I didn’t take my camera off my shoulder for day five cycling. It was a long day. Had to find our way out of Agde in which one is directed to go off the trail and take an alternate route which is much longer than the direct route along the ocean. to help with navigation we would have had a hard time finding our way around the Etang. Supports for cyclists were minimal in terms of signage but once back down close to the ocean things changed drastically. The old road between Agde and Sete had been converted into a bike path and a new road built parallel to the old road 1/2 km away. So, the path we got to ride along followed right along the edge of the dunes and we would get glimpses of the Mediterranean where access gulleys existed. The cycling was hot and dry. However, there were bathrooms along the way where one could stop and refill water bottles, stand under the shade for a while and then on to the next section. This section between Agde and Sete is about 20km. 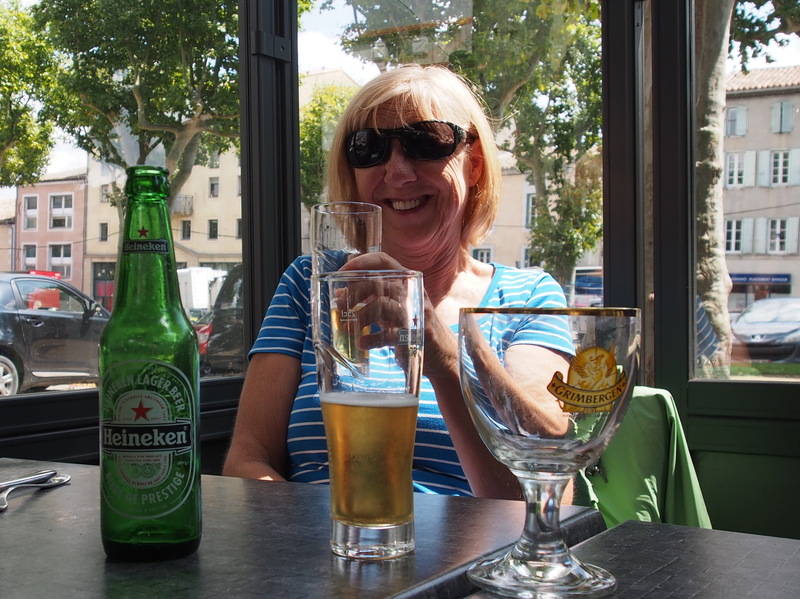 By the time we got to the end of the path and the beginning of Sete we were ready for a beer or maybe more. Finally we got back into the saddle and cycled through the town to our Airbnb accommodation we had arranged for the previous evening. It was a small apartment located very close to the main town market and a few minutes walk to one of the major waterways that make up the town. 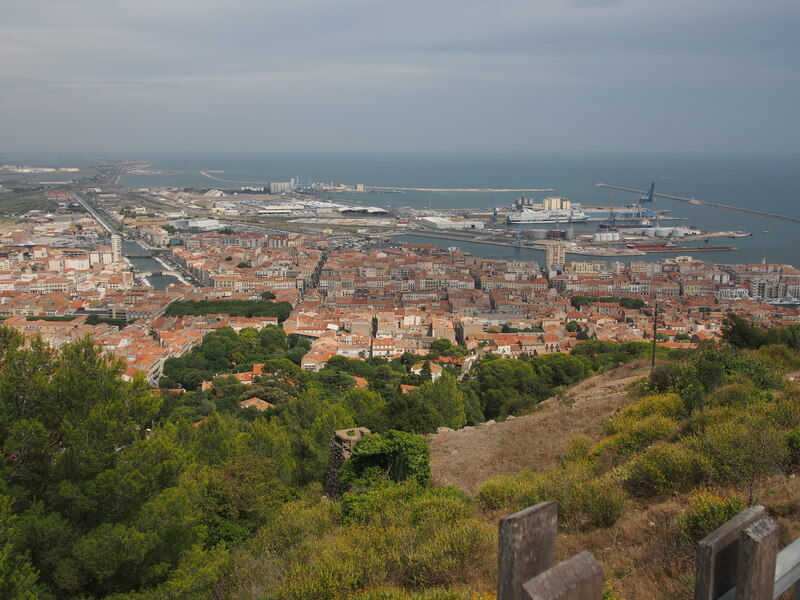 Sete is a working town. It’s not prettied up for tourists and I kick myself for not speaking good enough French to walk up to a group of fisherman at the docks and asking if I could take a picture of them as they mended their nets together. It was such a quintessential photo of the Mediterranean fishing port and I missed it. A little more ethnic diversity than Saissac! Sete also has a ferry which goes to Tangiers. Historically this connection is long-term and as a result there is a heavy Arabic influence on the town recognized by men in their djellabas and Muslim headgear. 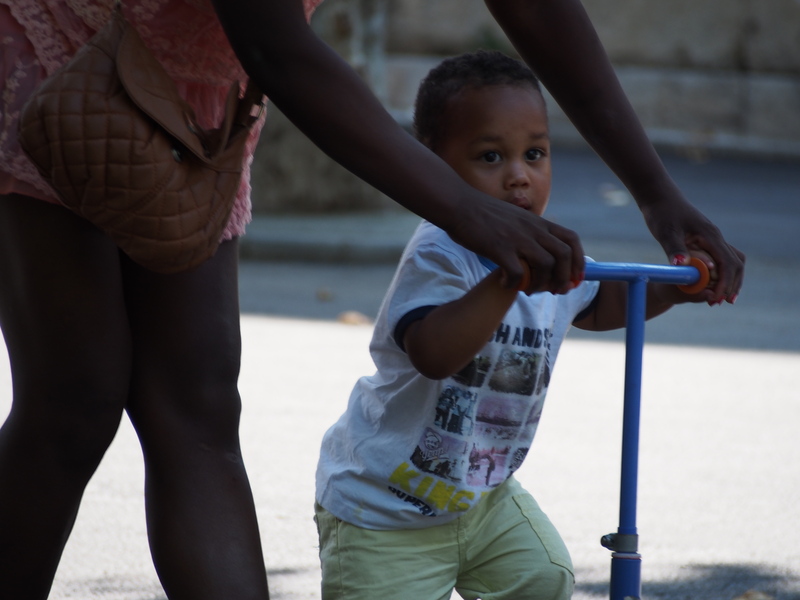 It’s a city reflecting more the diverse French population than places like Saissac and Carcassonne. Sete’s earlier years saw numerous Italians settling as they became the mainstay of the fishing industry. 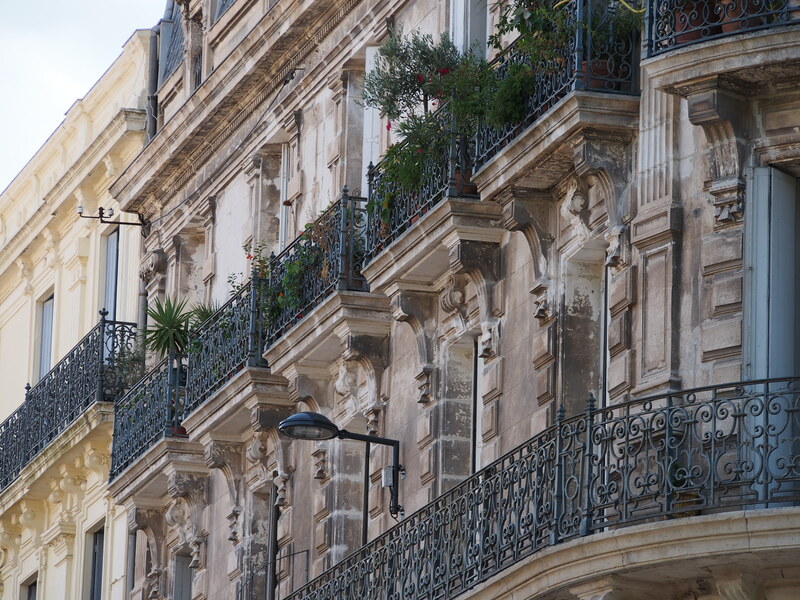 There is an ‘Italian’ section of Sete that is quite colourful and is close to the downtown area. Who looks grumpier. 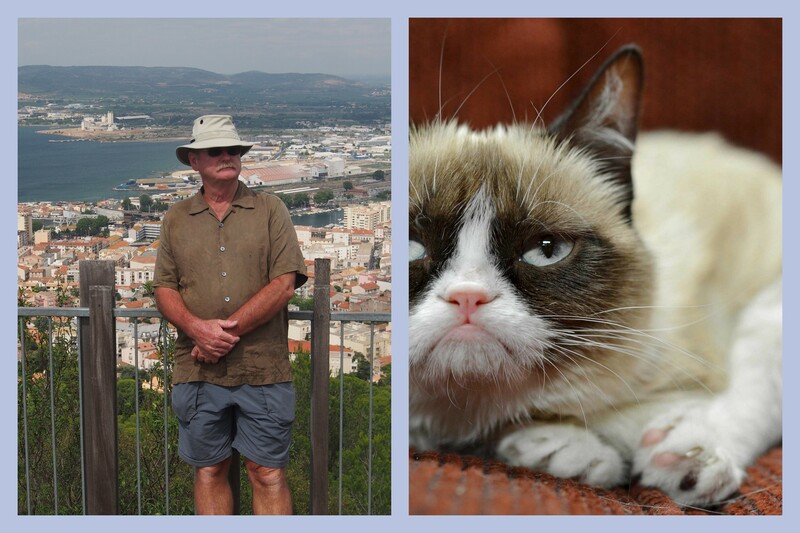 Me, after walking up that damn hill or, grumpy cat? 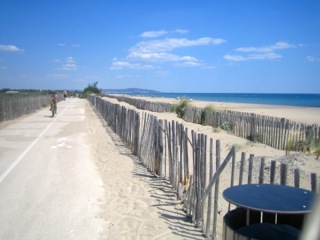 The beaches do attract the tourists but they are to the south of Sete along the cycle route we had taken. 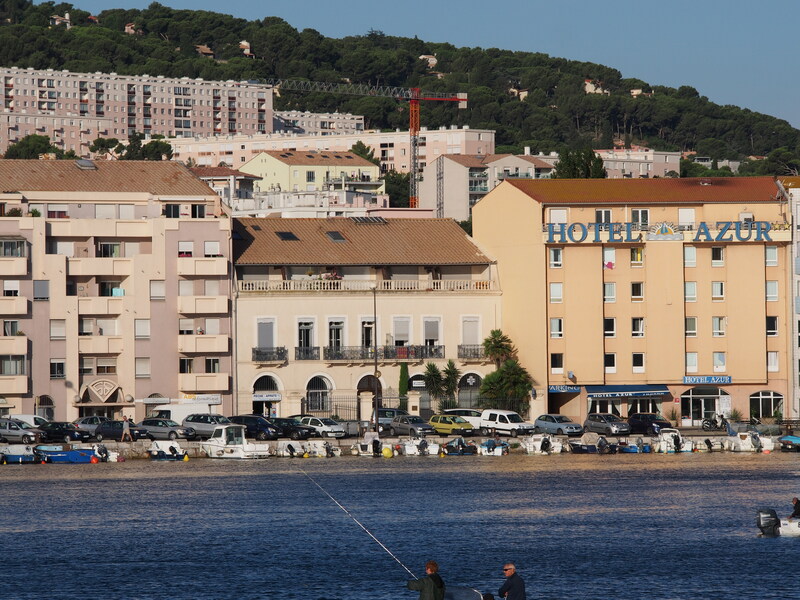 To accommodate the beach lovers there are lots of resorts/hotels in the stretch leading into Sete but the town is thankfully isolated from their impact other than along the main shopping street. 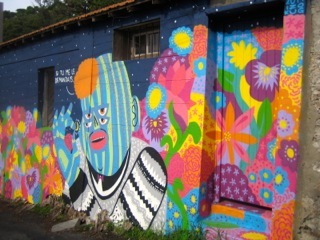 We all stayed in town for two nights taking in the sites, eating some good food and taking in a Miro exhibit at the local gallery. Early the last morning we clambered on to the train with our bicycles and headed off to Beziers where we dropped off our bikes. 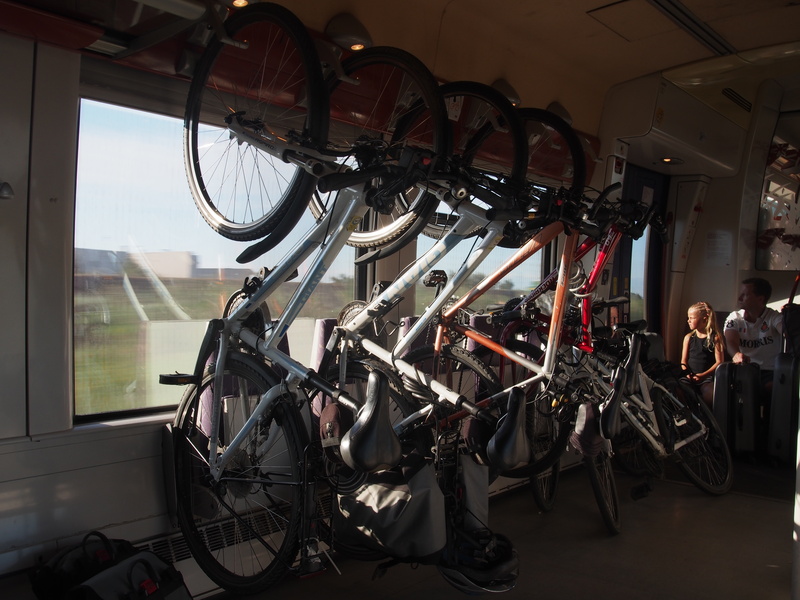 As usual in Europe travelling on the trains with bicycles is a great way to go. Not all trains have bike facilities but the large majority do and at no cost. It makes travelling in Europe the easiest and even if you aren’t planning a week-long trip but rather going city to city then it’s a great way to travel. Having a bike once you are in a place makes sightseeing so easy as most cities are bike friendly. 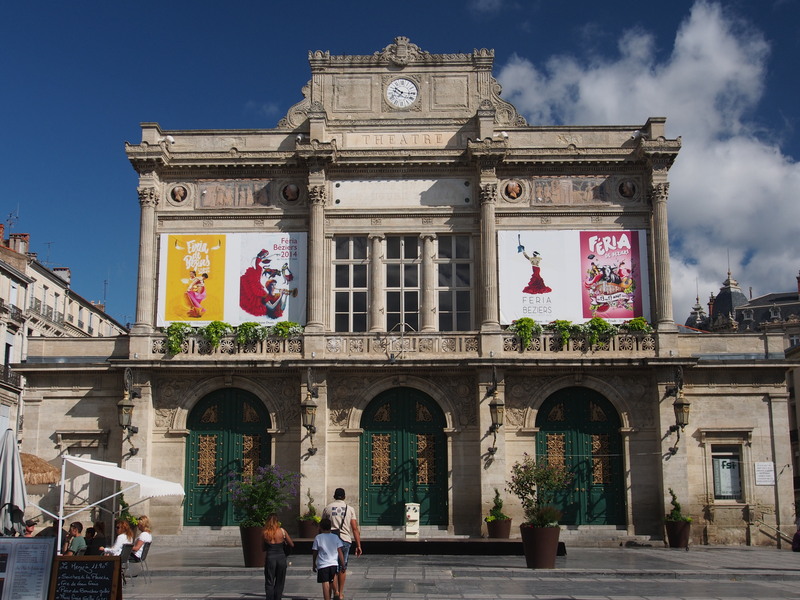 Beziers was the terminus. 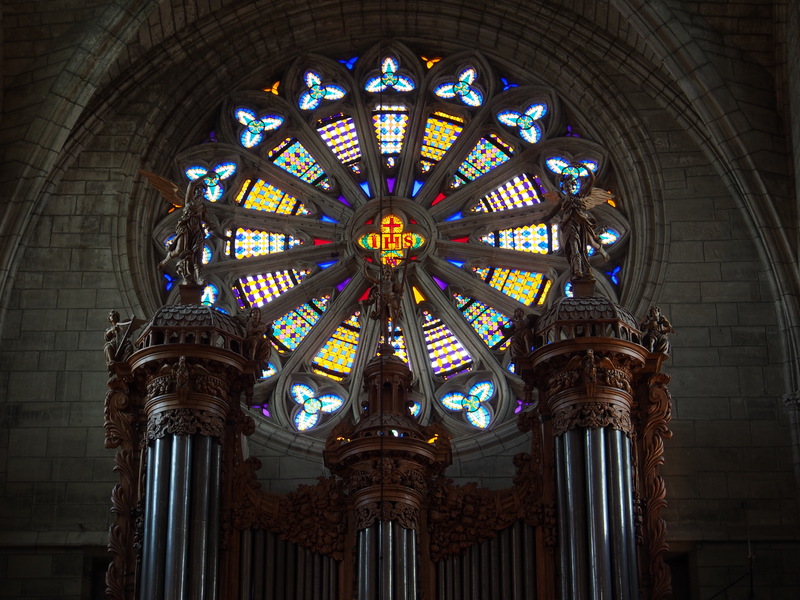 We had cycled by Beziers on Day 4 of our trip but had not stopped in the city itself. So, we got there early, dropped off the bikes and walked around the town. 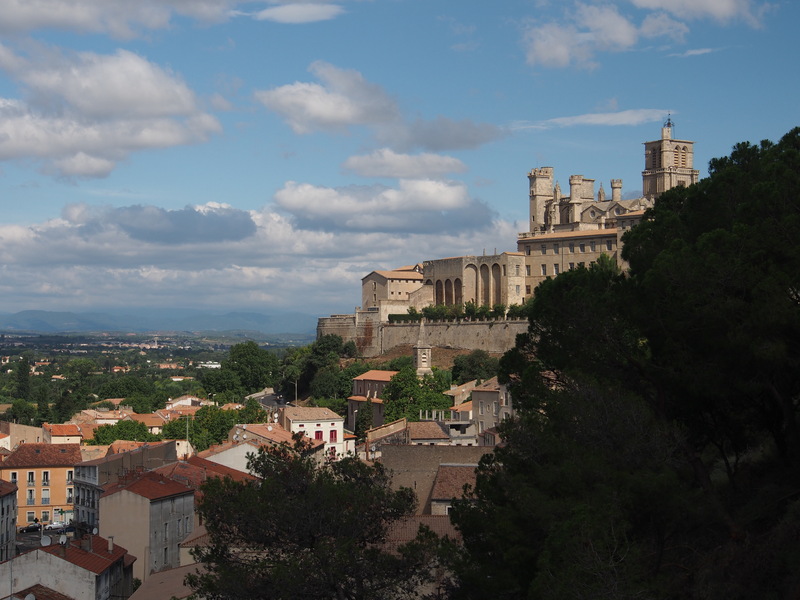 It’s not a large city, 71,000 people, but is one of the oldest cities in France dating back to 570B.C. Well done for a bunch of ‘old crocks’! Mate, your grumpiness is easily cured by French pastries.. hah! Well done you old farts. 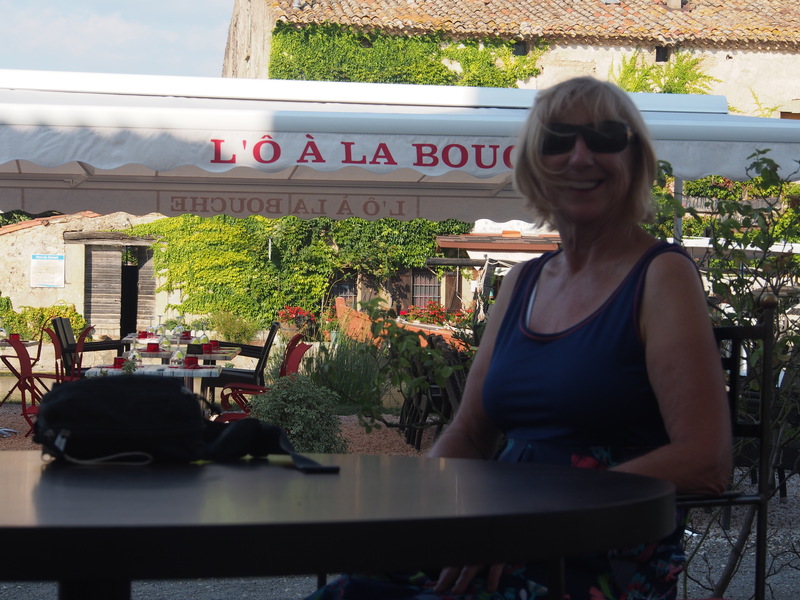 Hey Tony and Connie Thanks for the great tour of Canal du Midi. We’re on our way to London on Saturday.